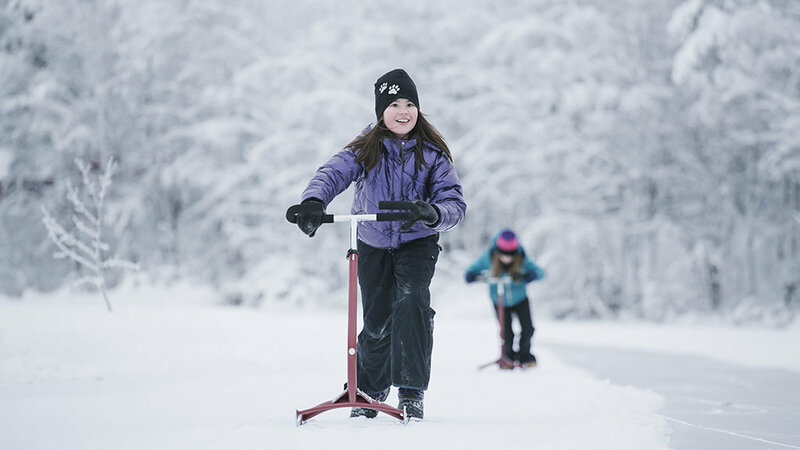 Kick sledding is easy, safe and a fun way to move in winter from one place to another. It is suitable for the whole family. The easiest route is to kick sled along the 3-kilometer ice-skating trail near the Lake Soukkio log cabins. Usually, on March snow gets tough and carries the kick sled more easily. 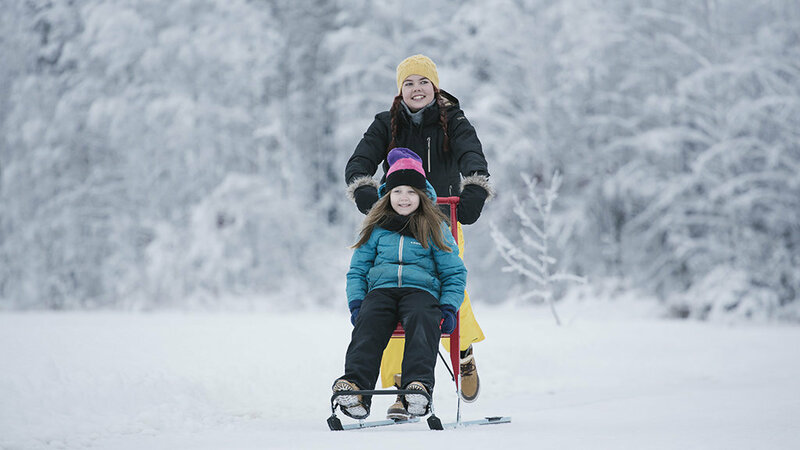 At this time, the kick sled can be equipped with special snow runners to move the sled rapidly anywhere. When renting the kick sled, we additionally provide a map of the Lake Soukkio area. The map is also available on the homepage at section “winter ”. 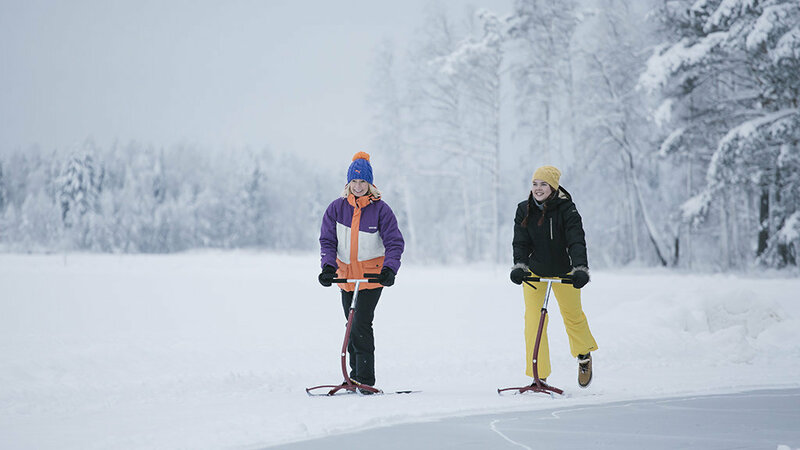 From the shore of the Soukkio Lake log cabins, it is possible to immediately kick sled and skate. There is as well a camp fire along the way where a break for a BBQ should be planned. Please ask if basic kick sleds are available and let us know if you need a sled with a chair for a child. The runners of the kick sleds are mainly Kicksparks and can be modified for people with a height from 100-180cm. Group size: From 1 person. Kickspark (kick sled) operating days and the time can be changed separately by prior arrangement and subject to availability during holidays. Request of a customized offer or longer bookings to Rock and Lake sales. Please call +358 50 566 0905 or send an email to sales@rockandlake.com.